The top two complaints about the sound of a Toyota's factory audio system are not enough volume and not enough bass. Alpine's PSU-300CRA Powered Sound Upgrade solves both of these issues in your Toyota Corolla with a neat and clever combination of products designed to bring joy to all music lovers. The package includes a compact 4-channel amplifier and a powered subwoofer, both mounted in a Toyota-specific bracket which mounts under the passenger seat and wired up using vehicle-specific harnesses. The PSU-300CRA upgrade is compatible with the factory Toyota base radio and almost all other aftermarket receivers. Alpine says you should be able to install this upgrade in your car in two hours or less. Alpine's KTP-445U Power Pack amplifier increases your radio's power output to 45 watts RMS by 4 channels, considerably more than what's put out by the Toyota radio. A universal plug lets you feed a signal via RCA outputs or speaker-level wiring. A built-in high-pass filter optimizes the sound for your speakers. Alpine's PWE-S8 powered sub uses a Class D amplifier rated at 120 watts RMS to drive the 8" shallow-mount, high-excursion subwoofer, so there's plenty of power for your bass. The amp features controls for phase, gain, and a low-pass crossover, so you'll be able to blend the bass with the rest of your system. 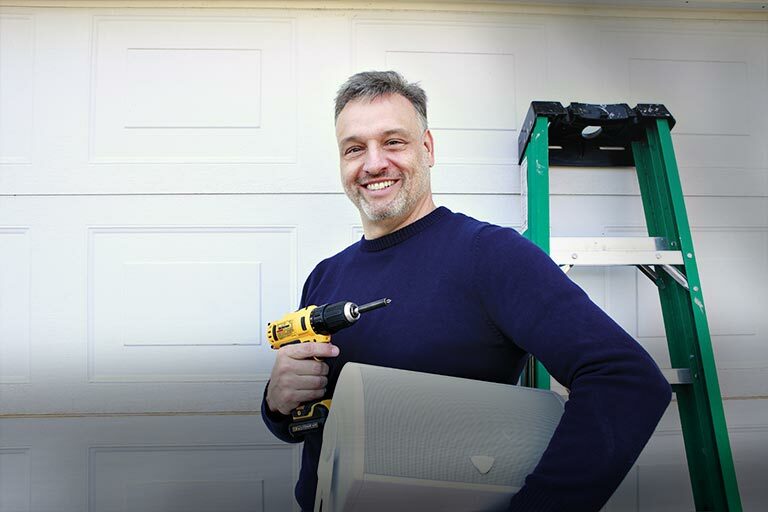 A wired remote control lets you adjust the bass level from the driver's seat. Important Note: This upgrade package won't work in a Corolla with the Toyota premium amplified system. 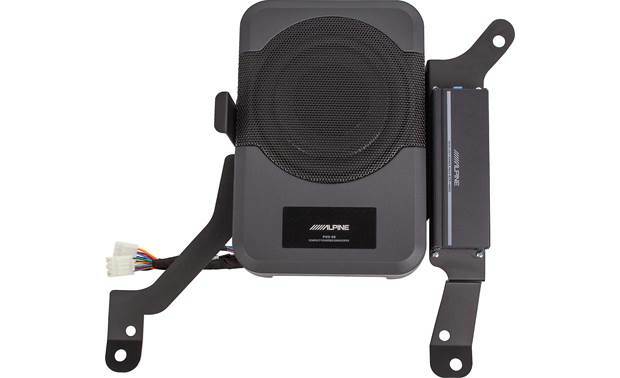 Overview: Alpine's PSU-3CRA is a dedicated 300 watt sound system designed specifically for 2014 - 2019 Toyota Corolla 4-Door models not equipped with a factory amplified sound system. The system includes a KTP-445U 4 x 45 watt amplifier, a PWE-S8 8" powered subwoofer, and all the wiring needed, pre-loomed and ready to install. The PSU-3CRA also includes a remote bass knob for changing the bass level from the dash. Wiring: The PSU-3CRA system can be interfaced with a factory radio (non-amplified) or an aftermarket radio. The included T-harness interfaces the factory wiring in the dash, providing either a speaker-level signal from a factory radio or an RCA line-level signal from an aftermarket radio, to feed to the Alpine KTP-445U amplifier. The T-harness also feeds the amplified return signal back into the factory wiring and out to each of the speakers, utilizing the factory speaker wires. The provided wiring includes a 10 ga. power wire, with inline fuse holder, that gets run to the battery, providing power for both the 4-channel amp and the PWE-S8 subwoofer. 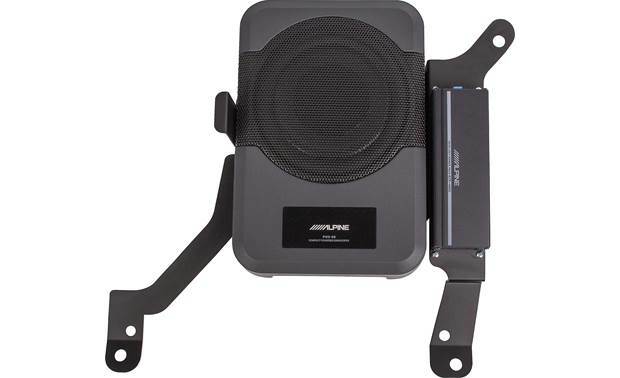 Mounting: Alpine provides pre-attached brackets that are designed specifically to mount both the KTP-445U amp and the PWE-S8 subwoofer underneath the passenger front seat. This means no usable space in the vehicle is taken up by the sound system. KTP-445U: The Alpine KTP-445U Head Unit Power Pack is a power upgrade amplifier that allows you to add higher output and more dynamic response to your aftermarket or factory installed car stereo system (without factory amplifiers). The Power Pack employs a 45 watt x 4 channel amplifier with an unbelievably low noise floor, taking extra care to ensure a clean signal path, with no extraneous interference. The end result is a 1 Watt Signal-to-Noise Ratio of 82dB or better. Uniquely, the amplifier distortion actually decreases at higher frequencies, resulting in a clean and clear signal where your ear is most sensitive to distortion (< 0.03% THD+N @ 1W; 1% THD+N @ rated power). The Alpine KTP-445U Head Unit Power Pack provides independent controls for the Front & Rear inputs. Gain: Can vary the input level from 0.2 - 4.0 volts line-level and 0.5 - 10 volts speaker-level. Low Pass Filter: Rotary control that can set the filter cutoff between 50 - 150 Hz. Phase: Switches between 0˚ and 180˚. Power Mode: Switches between SP IN (speaker-level input) and REM (wired remote input). Searches related to the Alpine PSU-300CRA Powered Sound Upgrade for select 2014-up Toyota Corolla without factory premium sound.